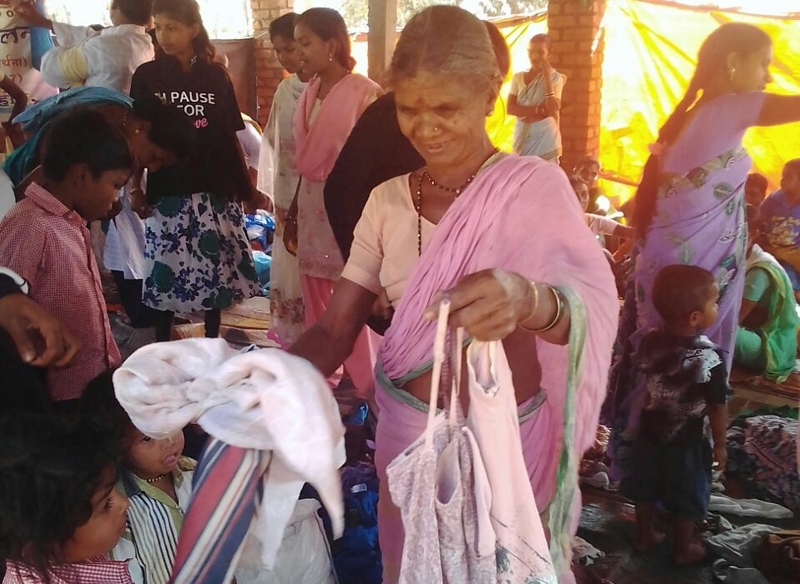 While Seams For Dreams has been consistent with it’s clothes distribution efforts (approx 1500 items per months), the team is always looking for innovative ways to make a difference through all the donations received. In addition to clothing donations, Seams For Dreams also collects scrap fabric from well-known fashion designers. One of Seams For Dreams’ principles is to never let any piece of clothing or fabric go to waste, hence the organization utilizes these pieces to create new masterpieces in the form of the up-cycled line and the newest project. 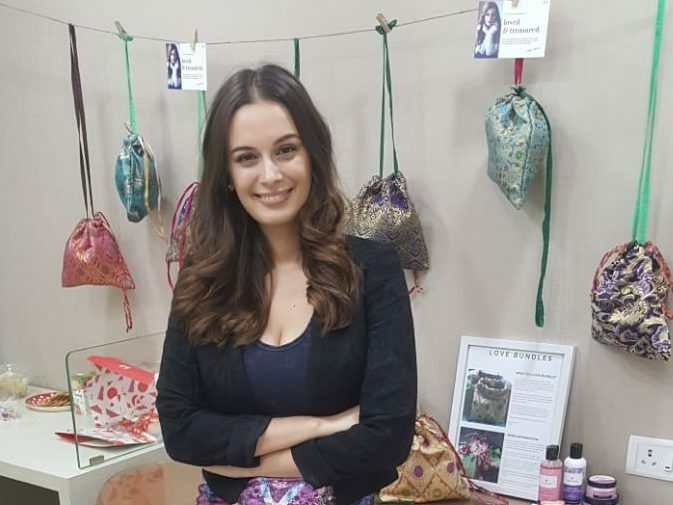 Seams For Dreams has already created the first batch of Love Bundles which were made from beautiful fabrics donated to by Sonam & Paras Modi’s SVA Couture. These 100 pieces will be gifted to women and girls from less privileged backgrounds! 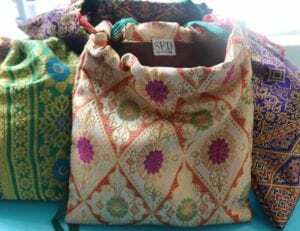 The Love Bundle is a bag created with much love from up-cycled material, and contains personal hygiene and cosmetic products like kajal, lip balm, hand sanitizer, sanitary napkins, etc. from ethical & eco-friendly brands to promote self-love and care impacting their everyday lives. All the items in the Love Bundles are re-usable, disposable and holistic! The Love Bundles is truly a project that aspires and encourages young women from less privileged backgrounds to discover their worthiness while promoting hygiene at the same time. 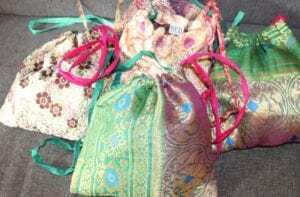 These Love Bundles are now up for sale at ShopXOE.com for only INR 500 a piece and once the first 100 are purchased, they will be distributed to those in need through our partner NGO to adolescent women rescued out of human trafficking.